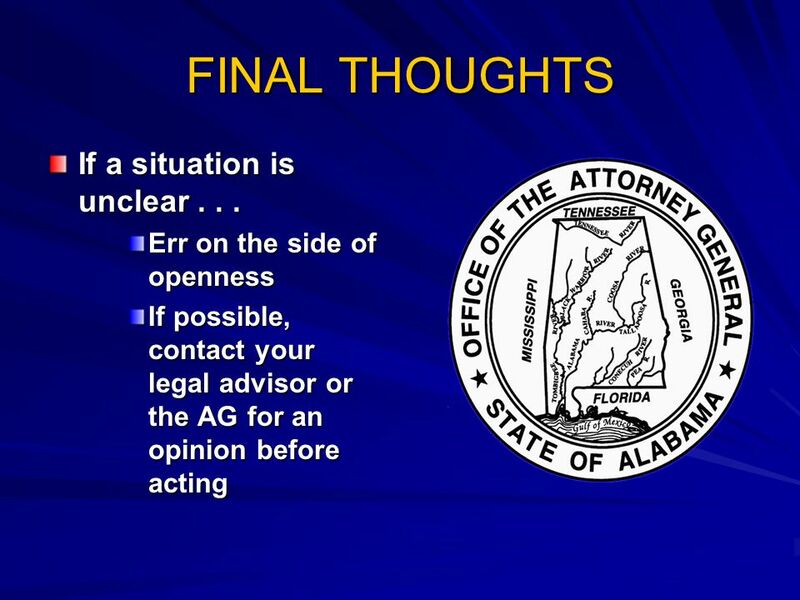 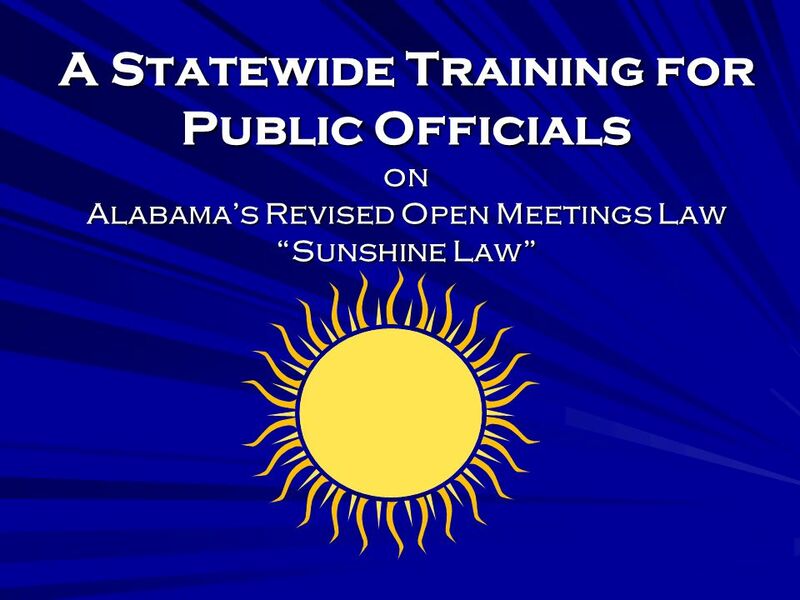 A Statewide Training for Public Officials on Alabamas Revised Open Meetings Law Sunshine Law. 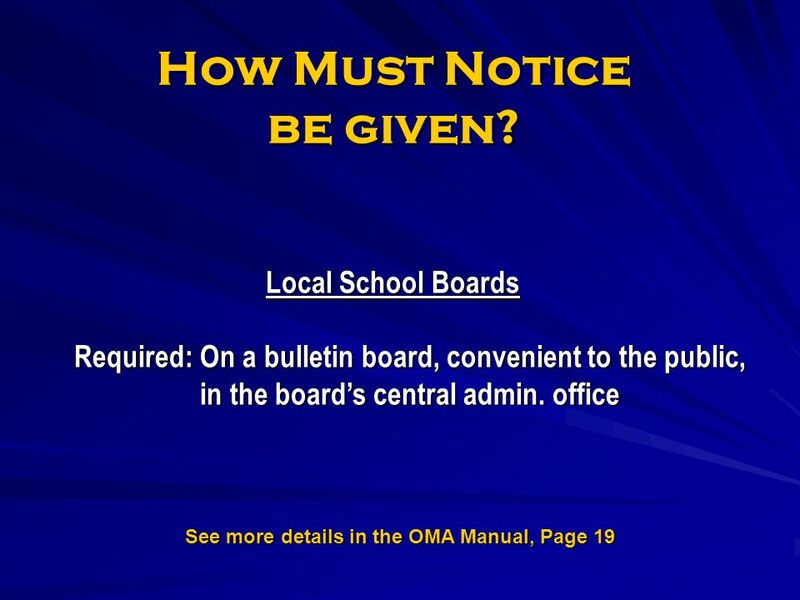 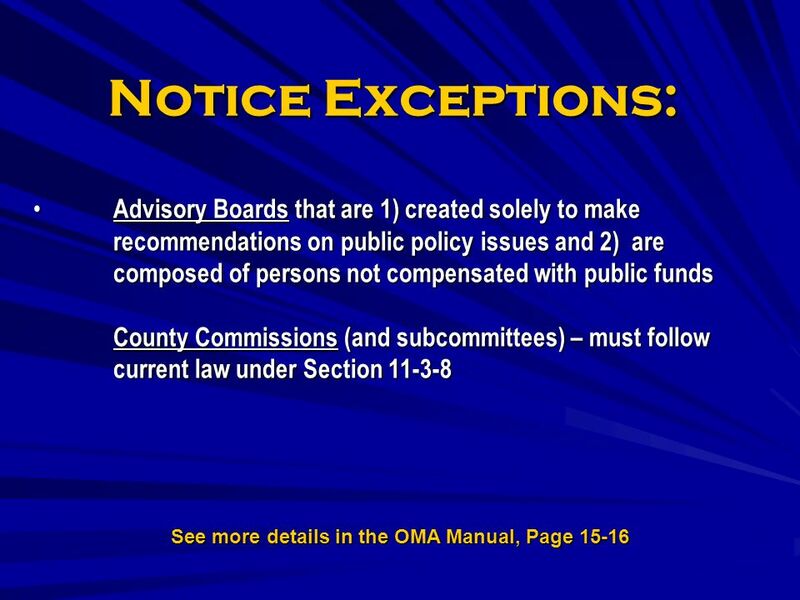 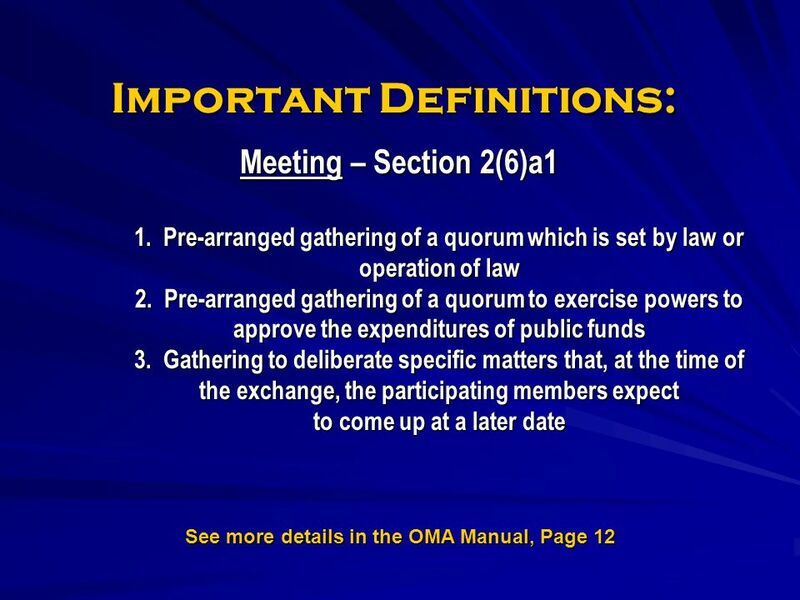 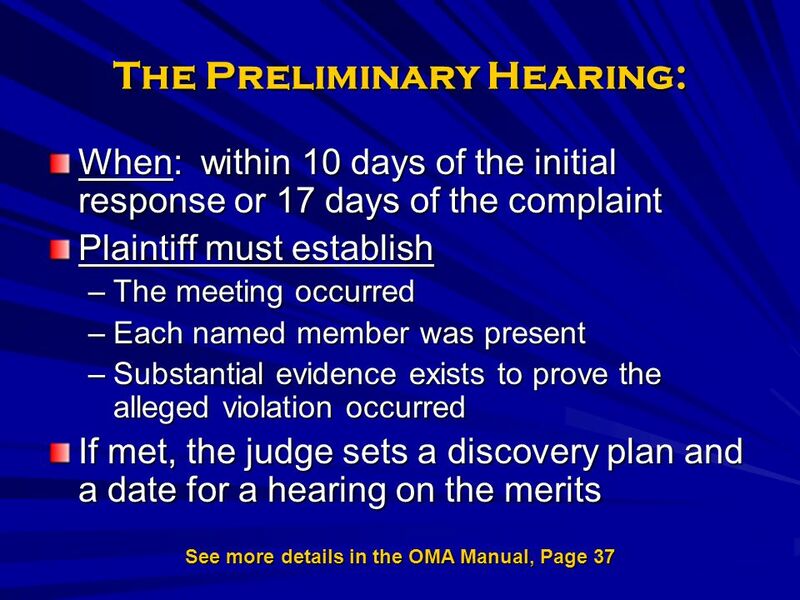 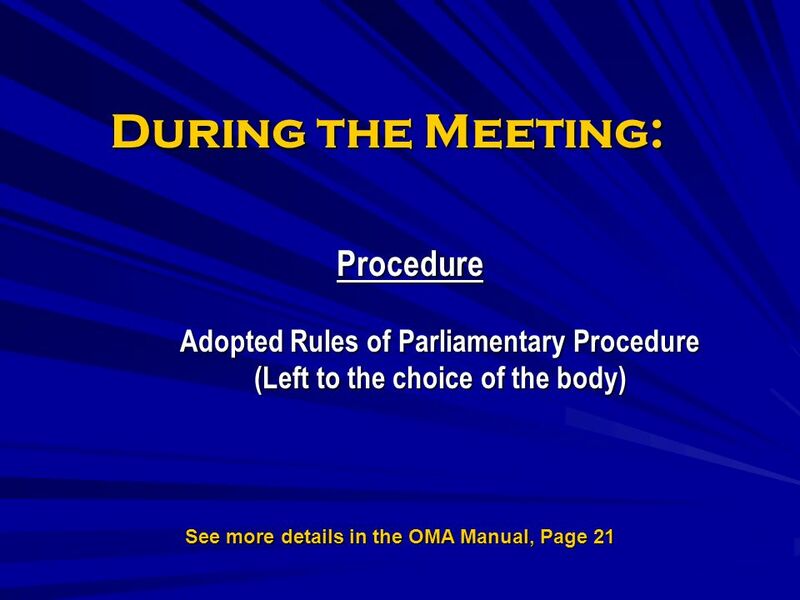 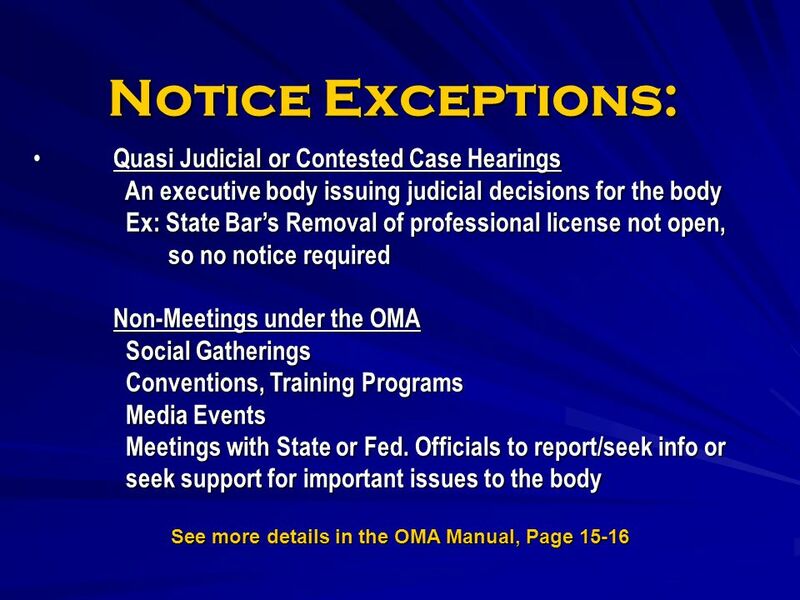 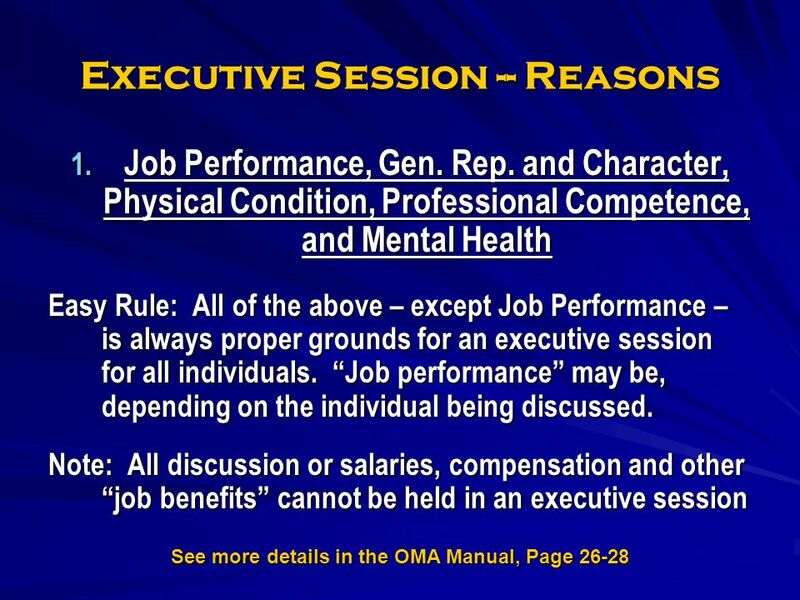 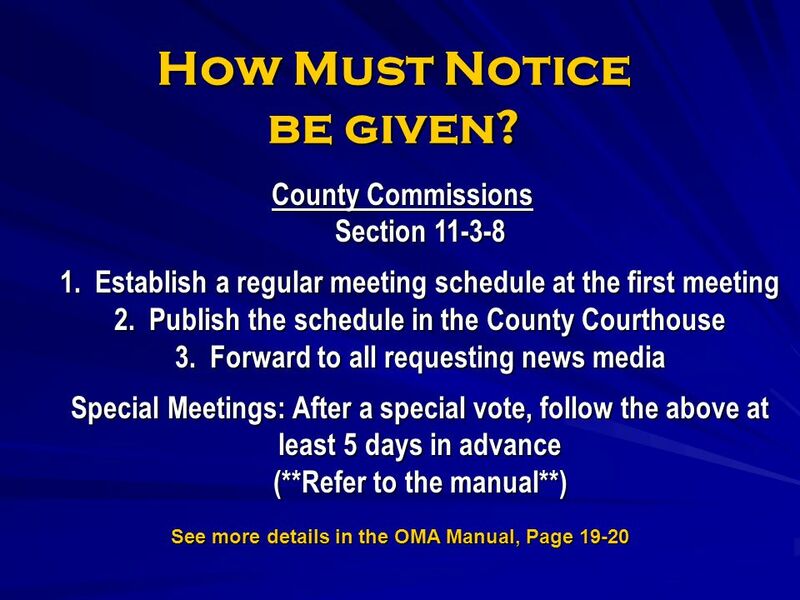 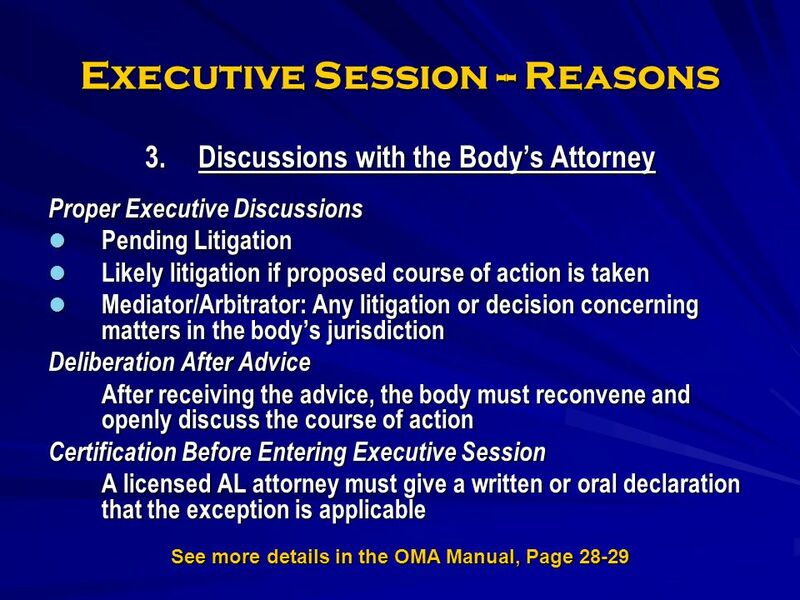 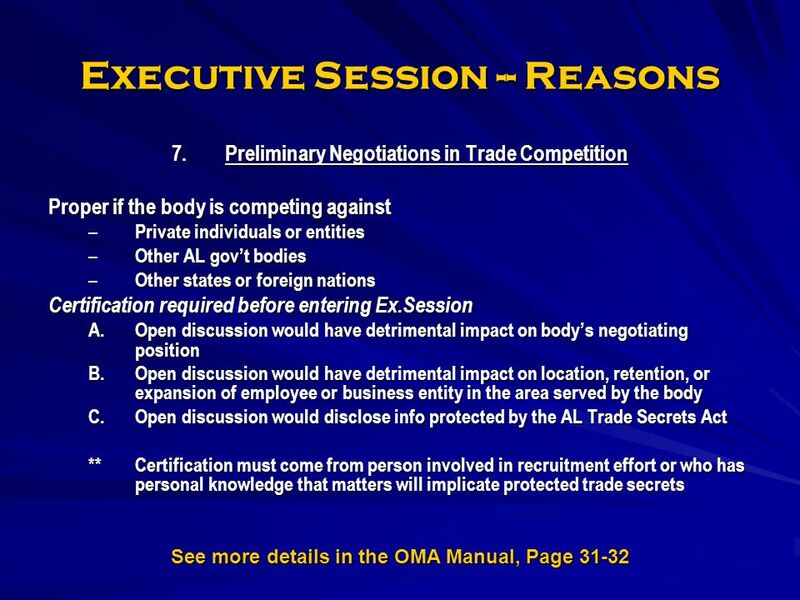 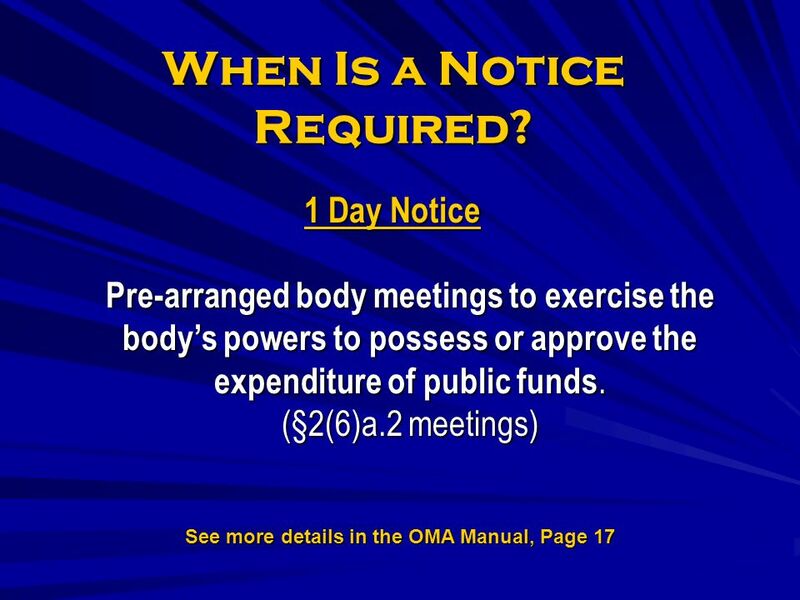 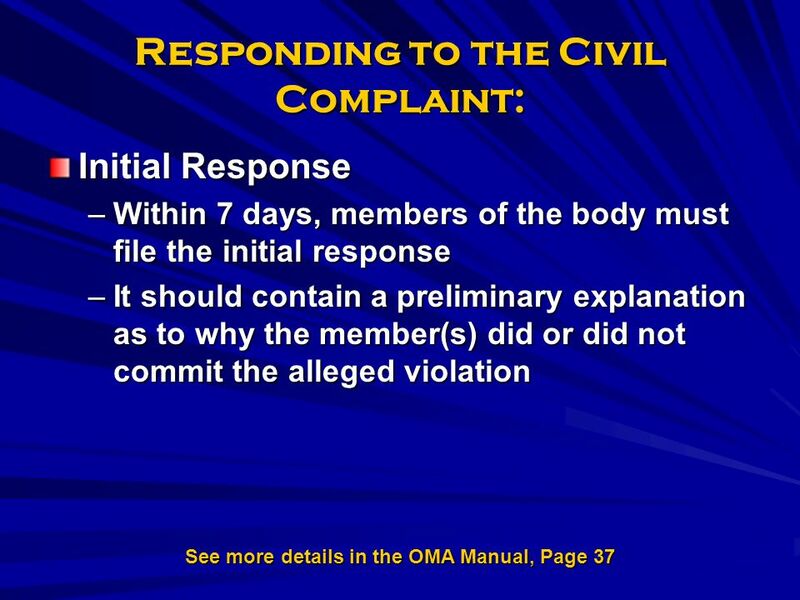 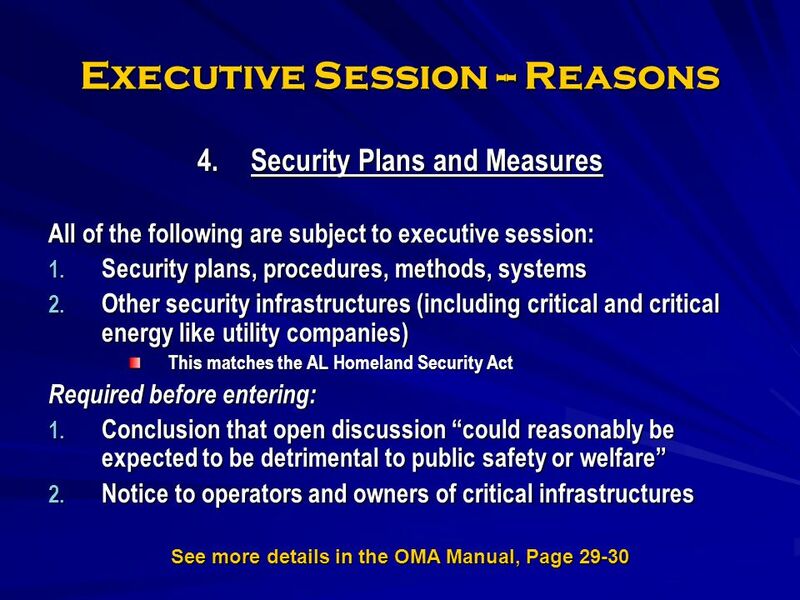 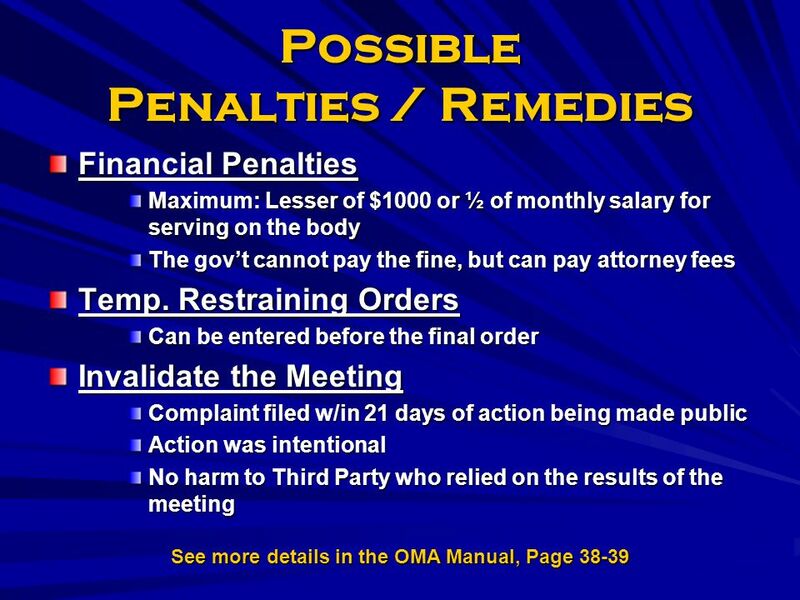 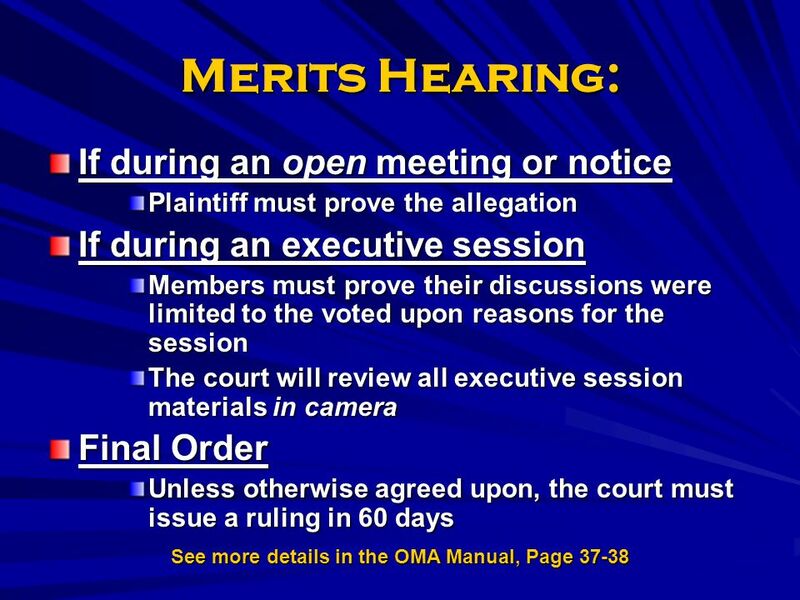 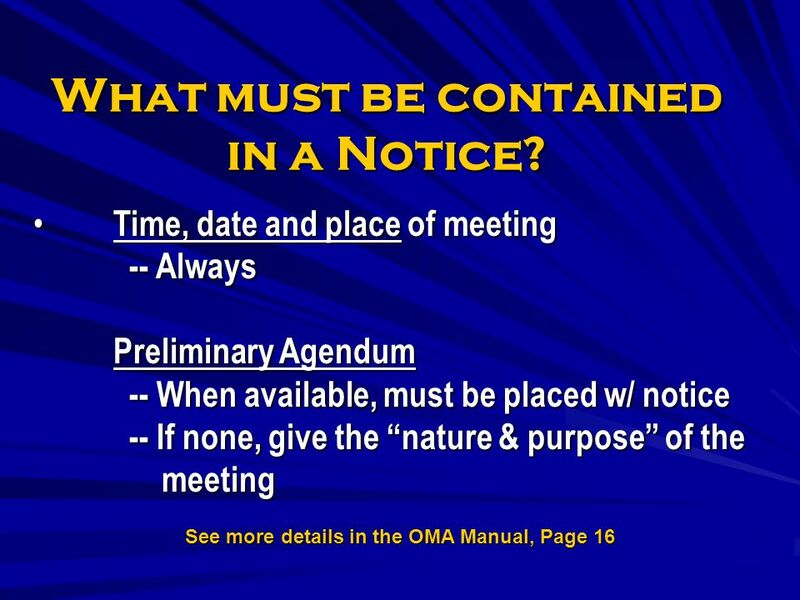 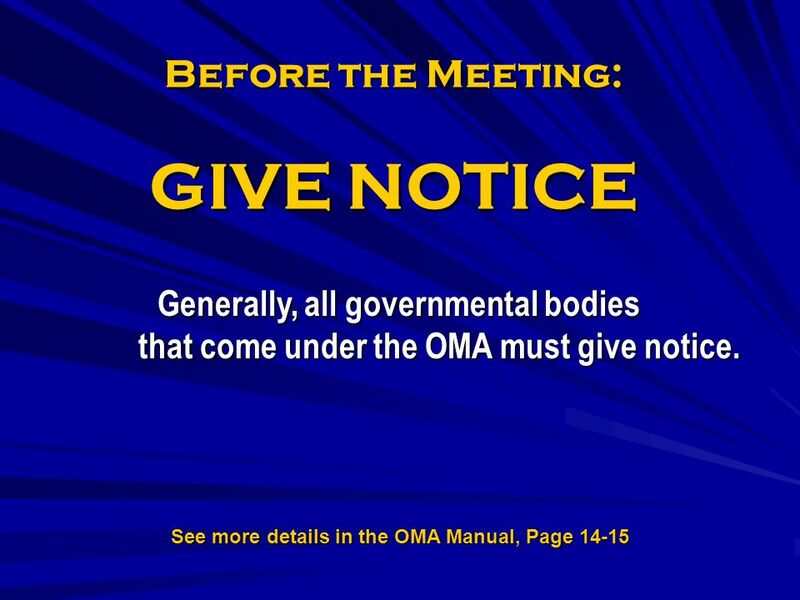 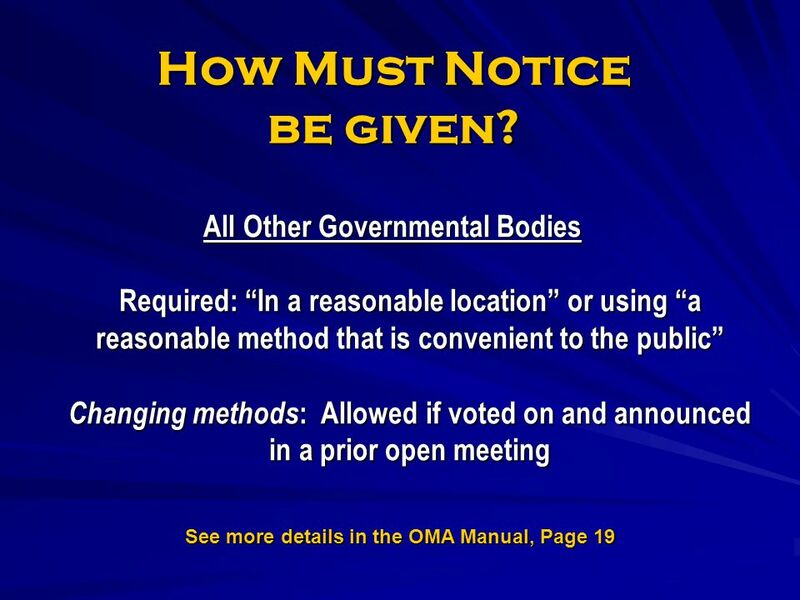 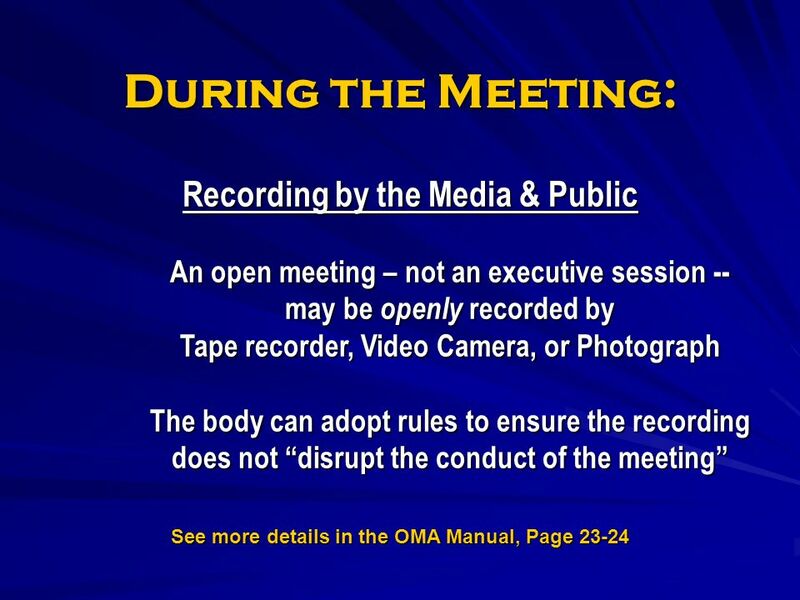 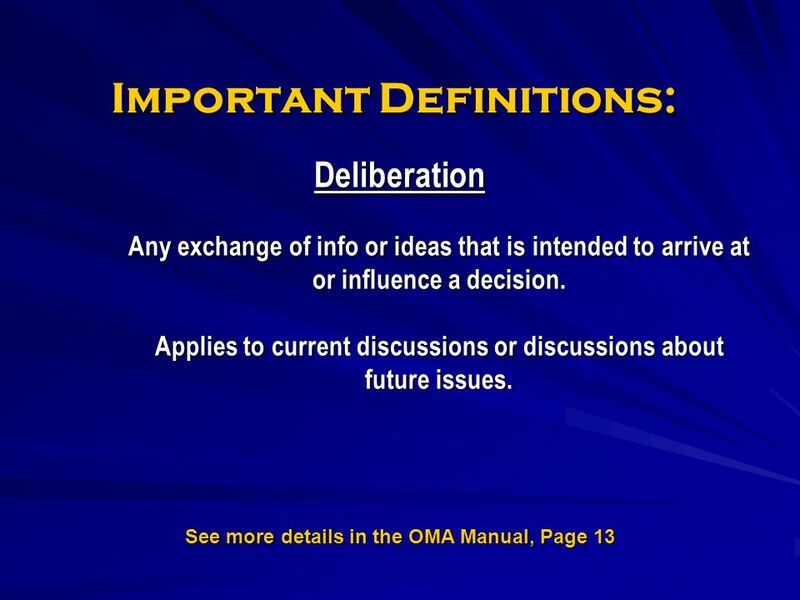 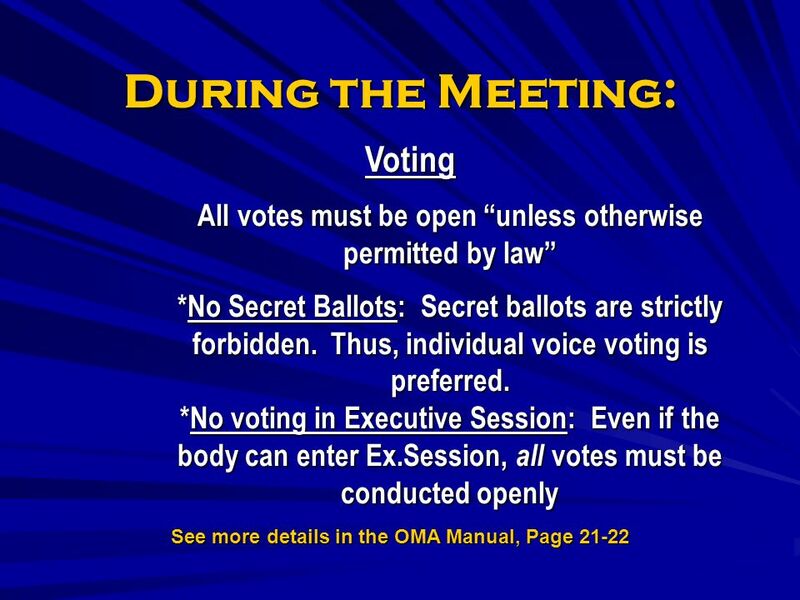 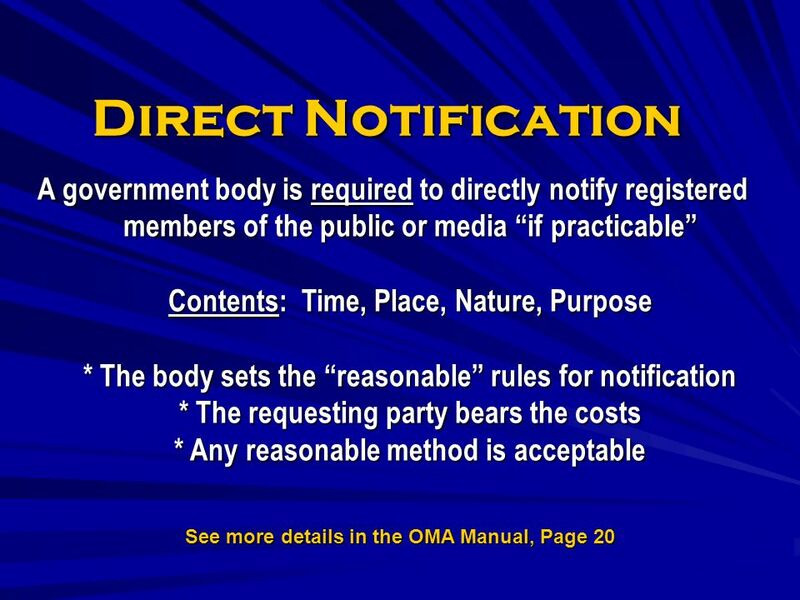 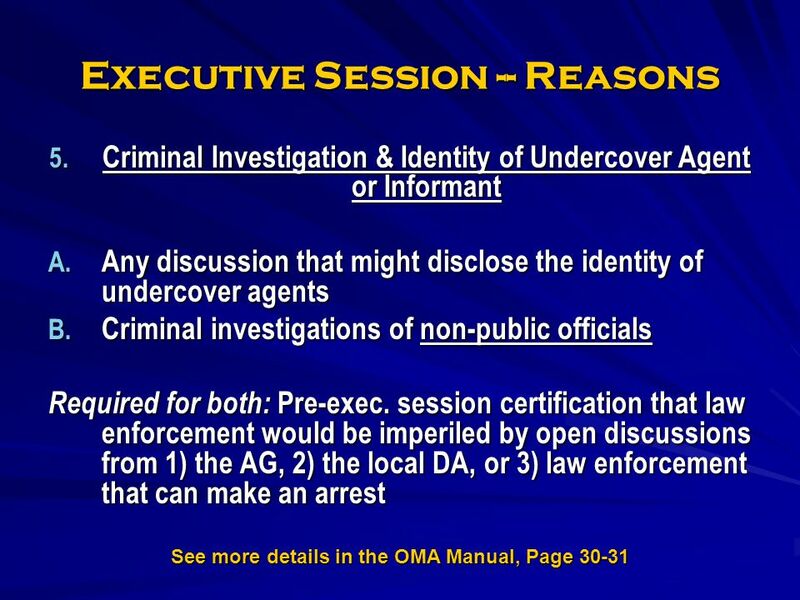 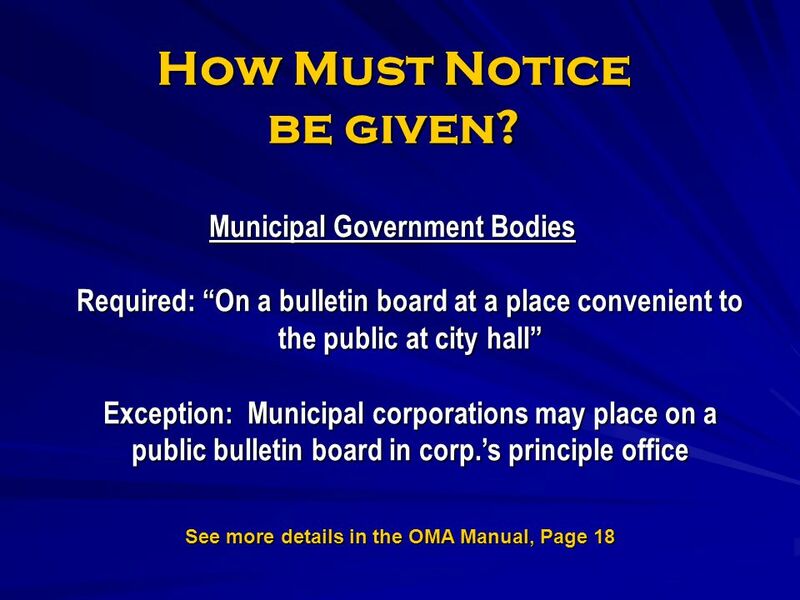 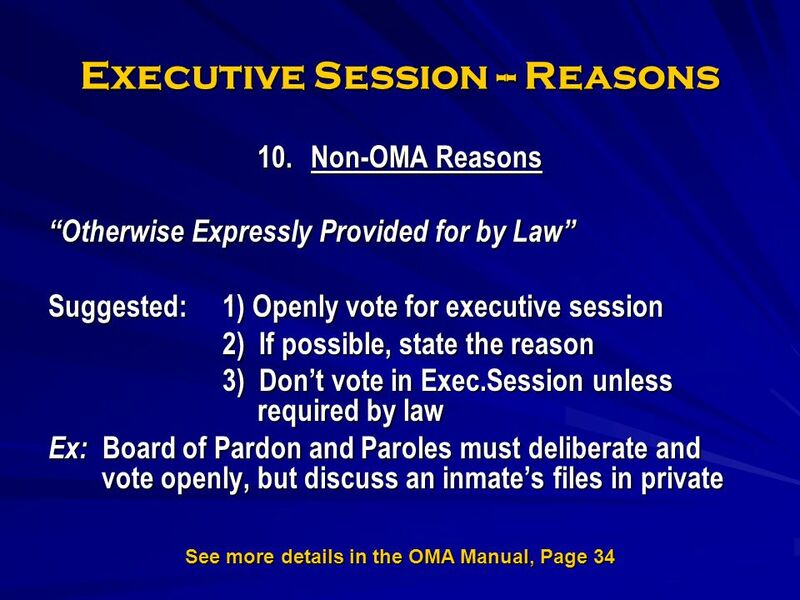 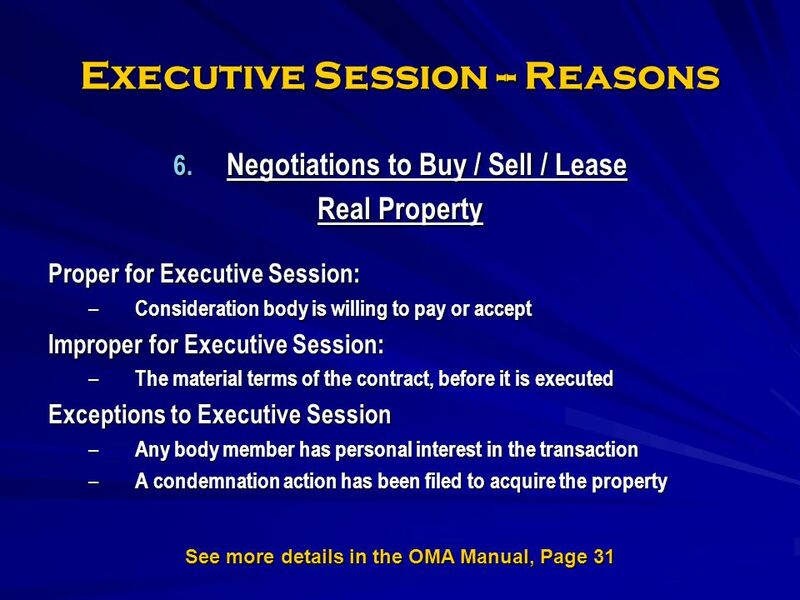 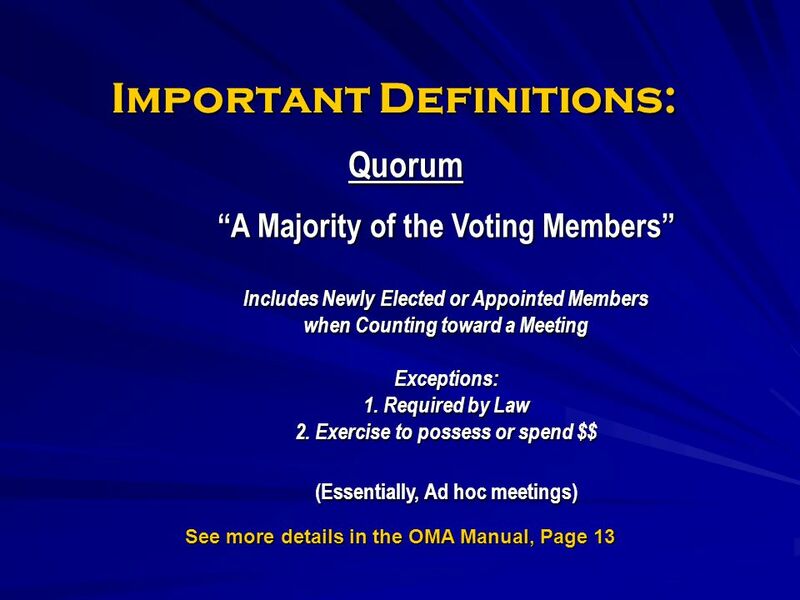 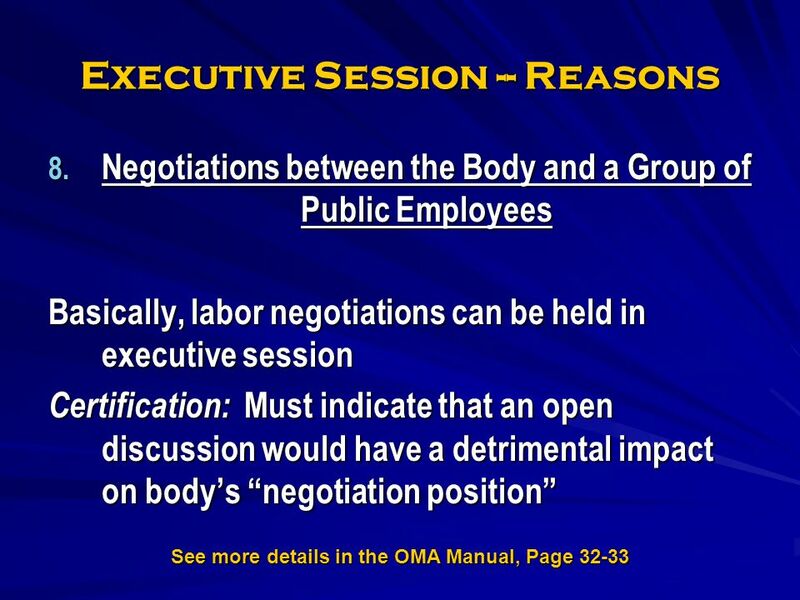 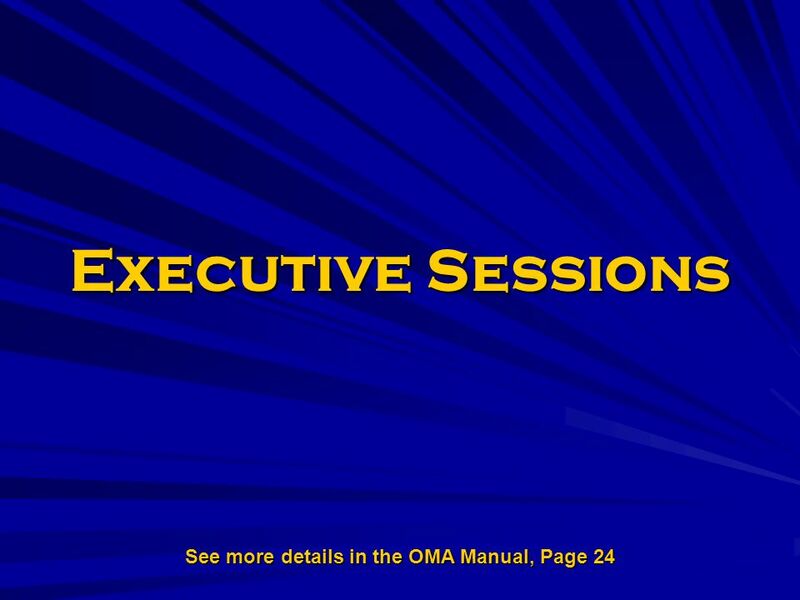 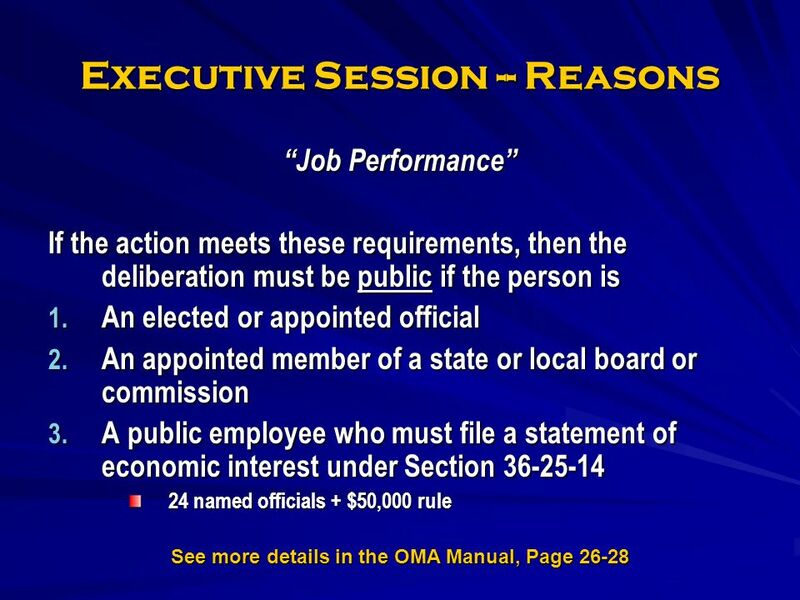 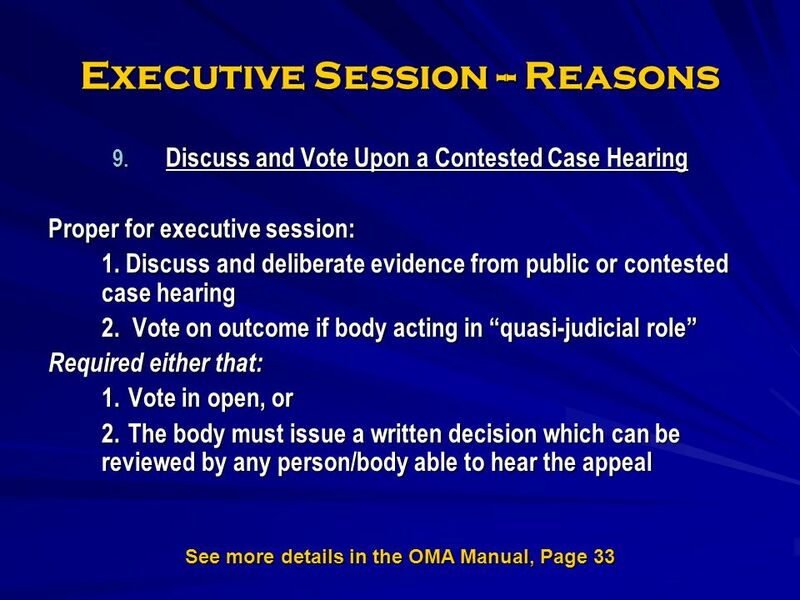 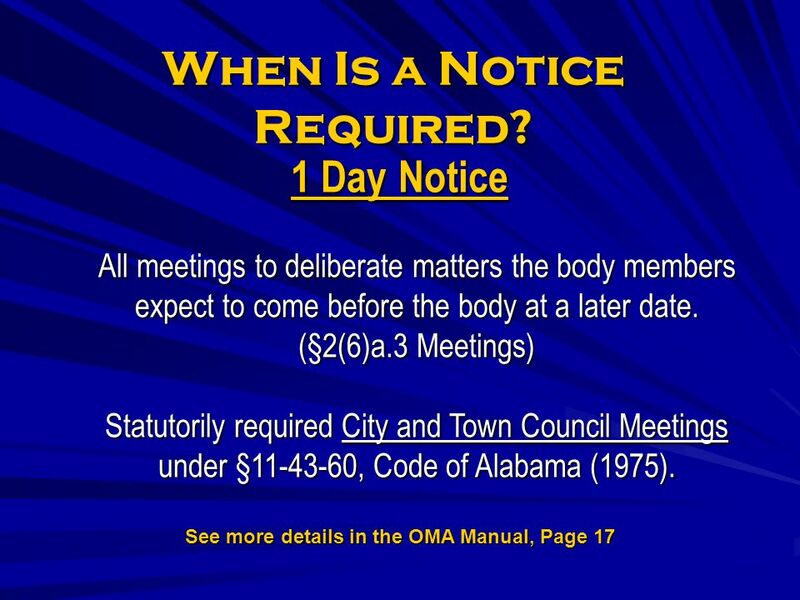 45 After The Meeting: See more details in the OMA Manual, Page 23 & 34-35 Suggested Steps: Step # 1: Public Record of the Open Meeting. 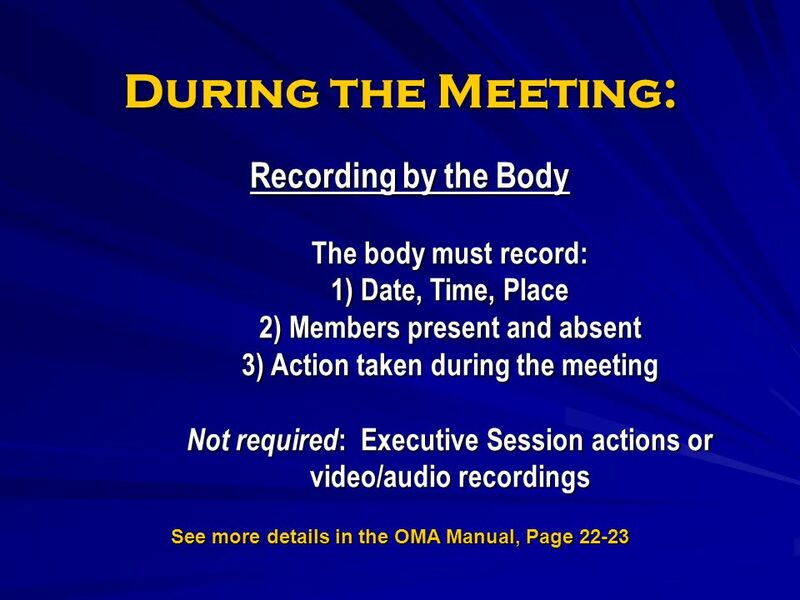 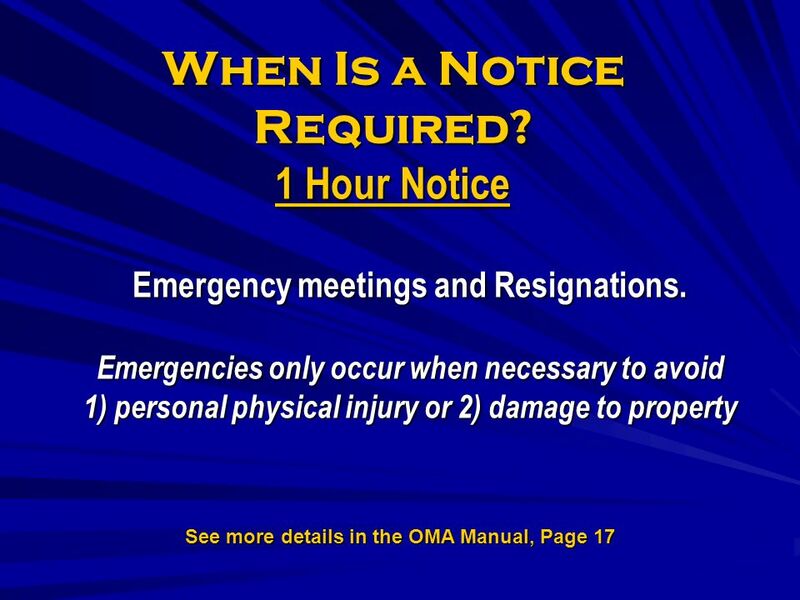 *The body must maintain and publish the minutes it is required to take during the meeting. 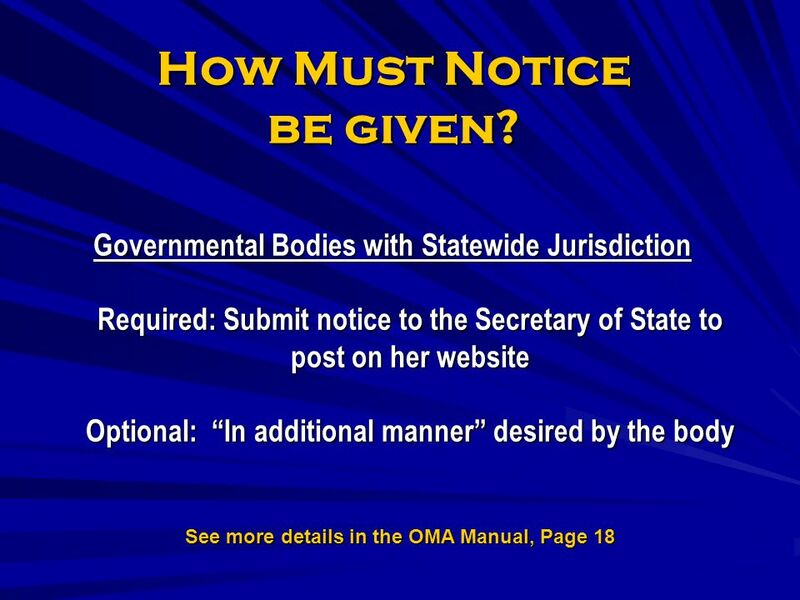 They must be published as soon as practicable after approval. 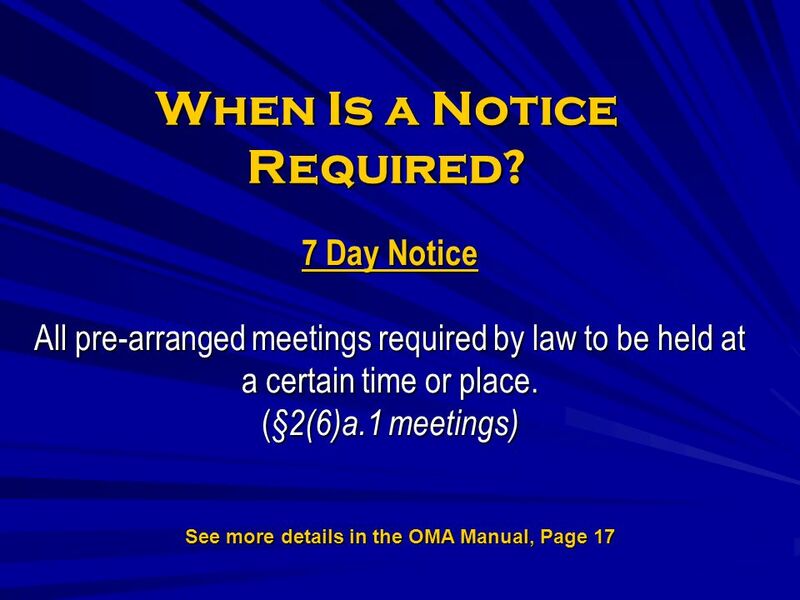 Step # 2: Know and Post Future Notice for next meeting. 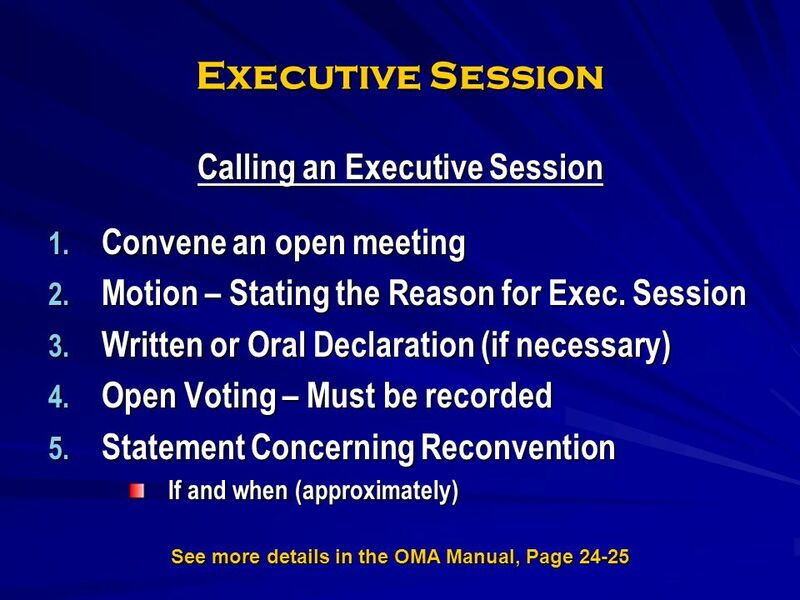 for next meeting. 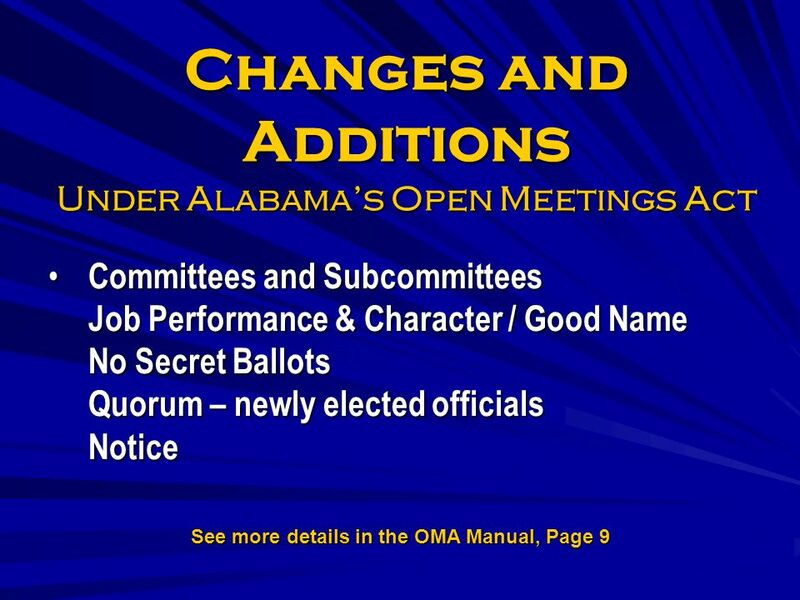 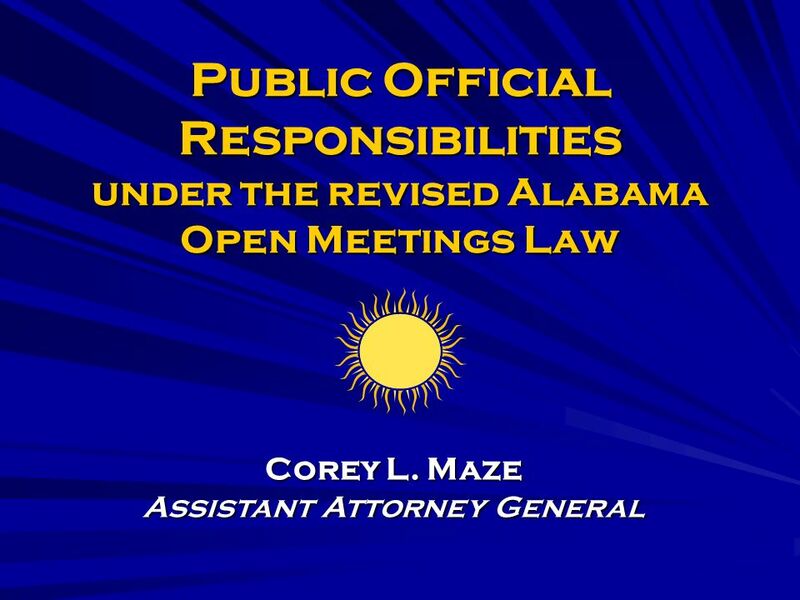 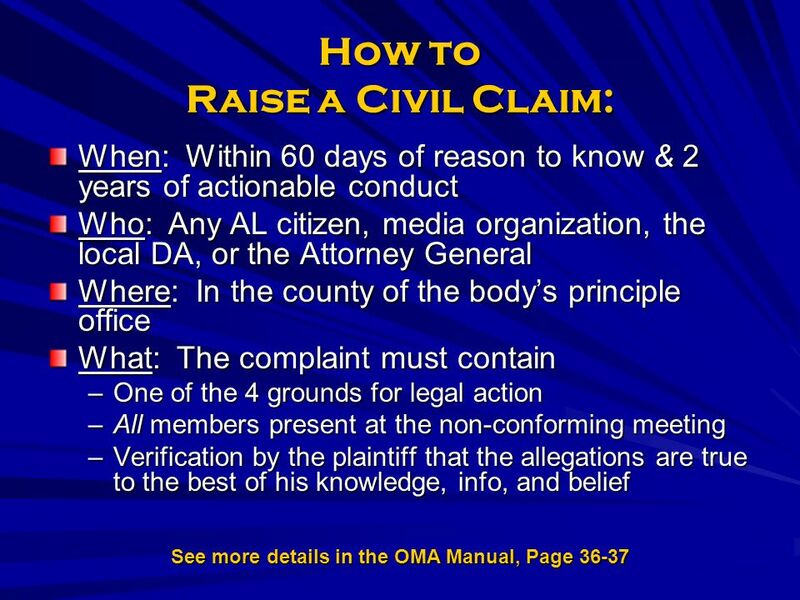 Download ppt "A Statewide Training for Public Officials on Alabamas Revised Open Meetings Law Sunshine Law." 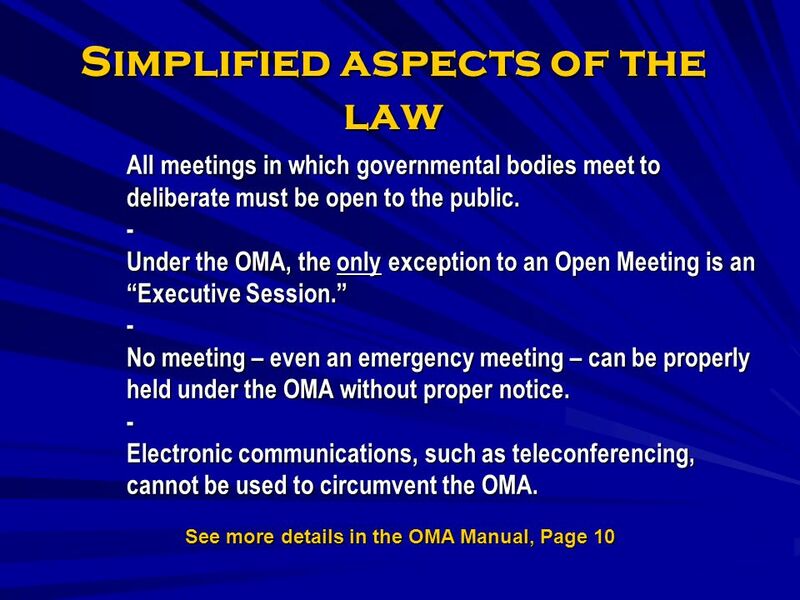 Marylands Government in the Sunshine Law Overview of the Open Meetings Act Jack Schwartz Assistant Attorney General. 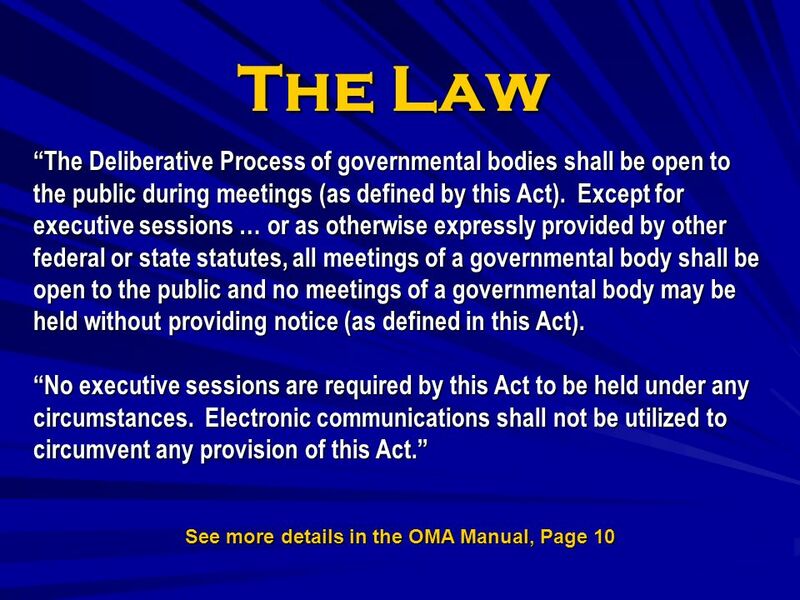 In recognition of the fact that a representative government is dependent upon an informed electorate, it is declared to be public policy of this state. 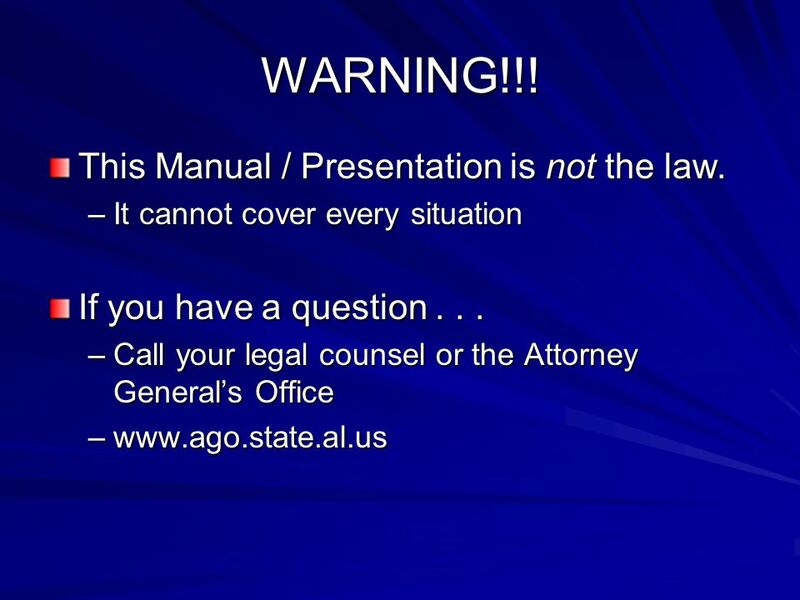 South Dakota Office of the Attorney General Bethanna Feist Assistant Attorney General Consumer Protection Division. 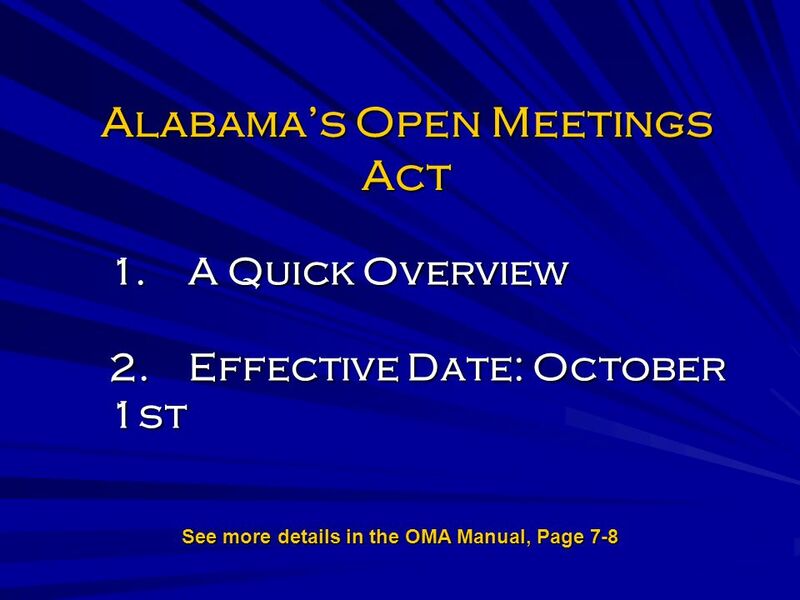 Citizens’ Aide/Ombudsman Office Overview Open Meetings Law Presented by: Angela McBride Assistant Ombudsman for Public Records, Open Meetings, and Privacy.